Johann Heinrich (Henry) Reisbich (Reisbick) was born in Norka, Russia on March 19, 1841, the son of Peter Reisbich and Margareta Dinges. Henry and Catherine and their children immigrated to the United States on June 5, 1878 aboard the steamship Weiland which arrived in New York harbor. The family first settled near Sutton, Nebraska where they are listed in the 1880 U.S. Census. A daughter, Katherine (Kate), was born in Nebraska in December 1881. The family later moved near Hastings, Nebraska where they are listed in on the 1900 U.S. Census. Daughter Kate married Conrad Heinrich Urbach in 1900. Shortly after this time, the Reisbich and Urbach families moved to Portland, Oregon where they are shown living together in 1910. In 1901, Henry became the lay leader of the First United Mennonite Baptist Church, following its founder, Heinrich Helser. Henry led the construction of a new church building at 3524 NE 6th Avenue in 1910. Membership in the congregation was 37 people in 1912. Henry served the congregation until 1913. Henry and Catherine were living with daughter Kate, son-in-law Conrad at 371 Fremont Street in 1910. ​Henry's son-in-law, Conrad Heinrich Urbach, would later lead the First United Mennonite Baptist Church from 1926-1934. John Henry Reisbich died in 1924 (possibly 1925) and is buried in a family plot at the Champoeg Cemetery in Aurora, Oregon. Conrad Heinrich Urbach is buried in the same plot. 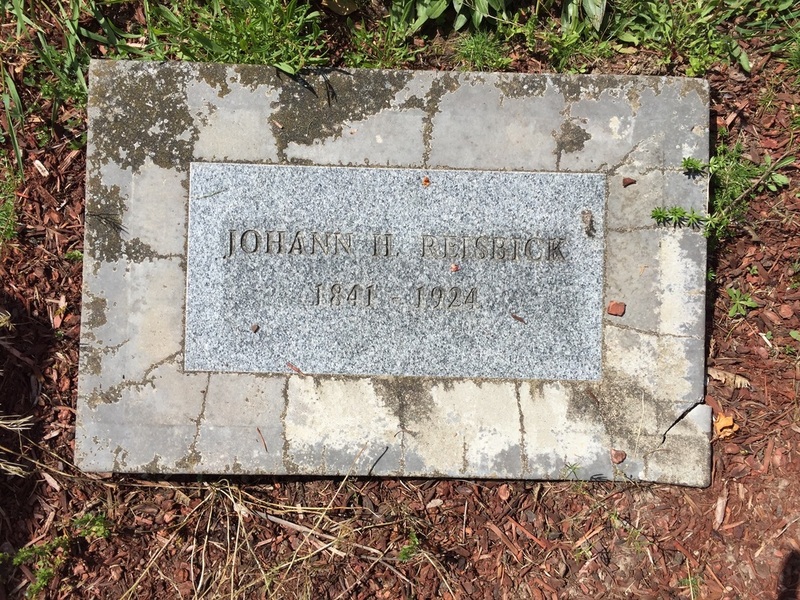 Grave marker for Johann Heinrich Reisbock at the Champoeg Cemetery. Source: Steven Schreiber. 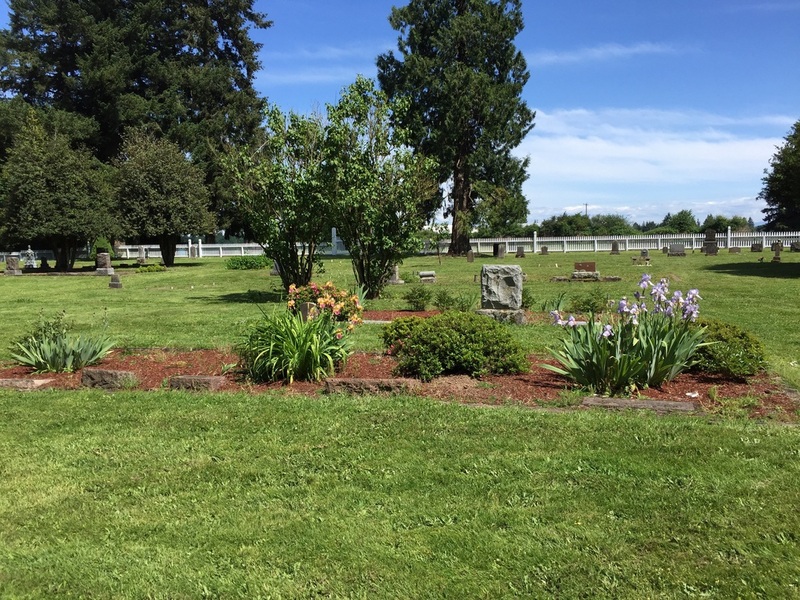 The Reisbick and Urbach burial plot at Champoeg Cemetery. Source: Steven Schreiber.